I'd rather have Blastaar in this instance. 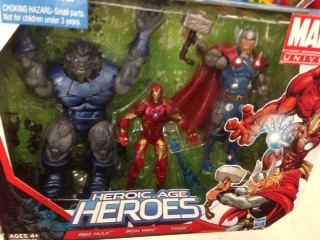 Wasn't Blastaar hard to find? Perhaps it's one of those cases of regional differences in distribution, but here in NYC Blastaar was very easy to find. The Disney Stores and Toys R Us (and maybe even Target) had a crap ton of both the regular and variant versions.